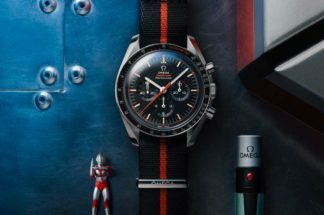 There is no doubt that the watch industry loves to celebrate, bringing out a limited-edition anniversary timepiece at the drop of a hat – or at least the drop of a quarter-decade. 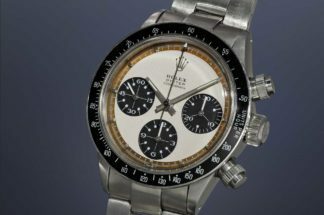 But when a genuine milestone is reached, who can blame a brand for having a good root-around in its archive to bring us one, two or a whole host of heritage-inspired timepieces? 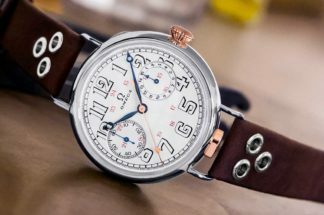 Next year, marks 150 years of watchmaking for IWC and the Schaffhausen-based brand plans to celebrate in style, introducing 27 sumptuous new limited editions throughout 2018 as part of a dedicated family of watches to be known as the Jubilee Collection. 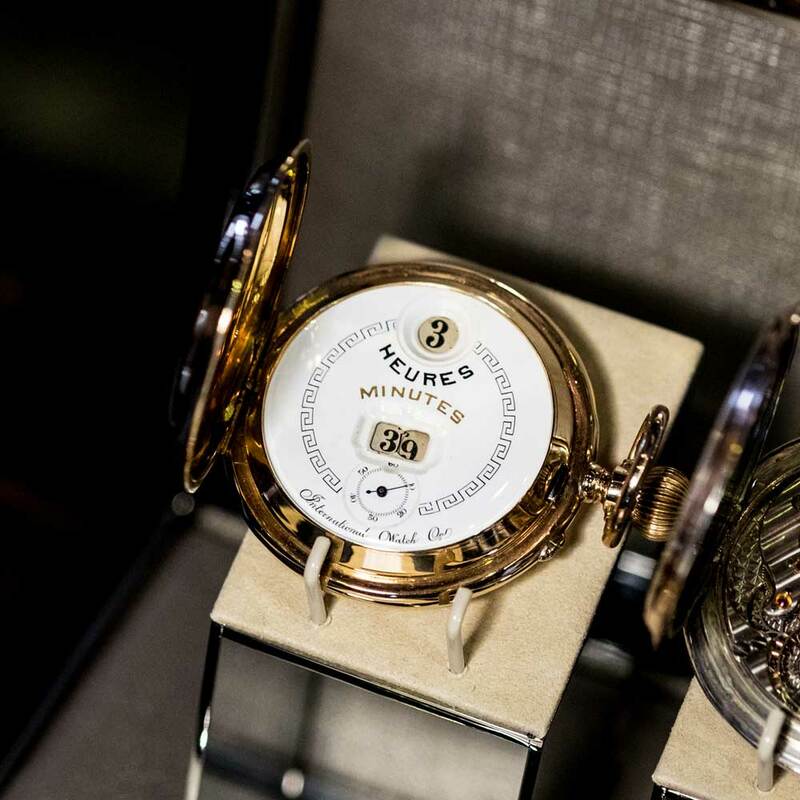 The new watches have been created to celebrate the original aims of American founder Florentine Ariosto Jones who wanted to combine Swiss craftsmanship with American manufacturing technology. 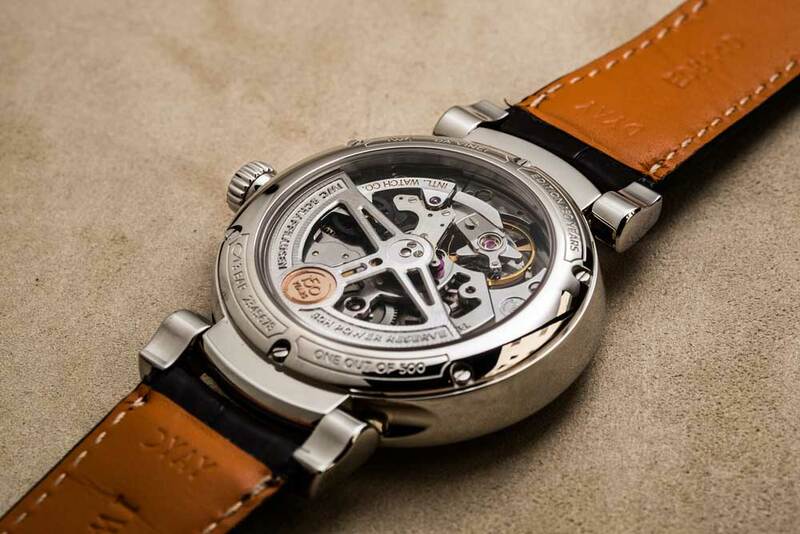 To this day, IWC watches combine precision engineering with design that is as unusual as it is timeless. 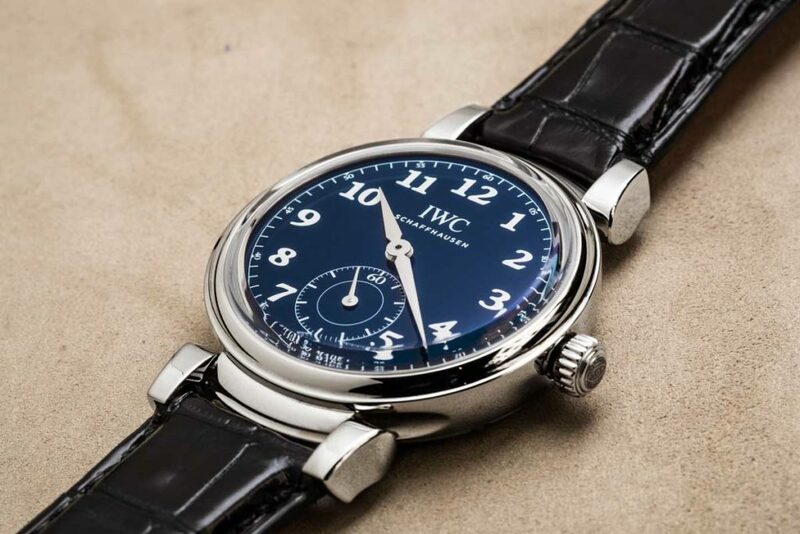 The Jubilee Collection revisits icons from the history of IWC, unifying them through a timeless design code to form a unique and impressive collection. 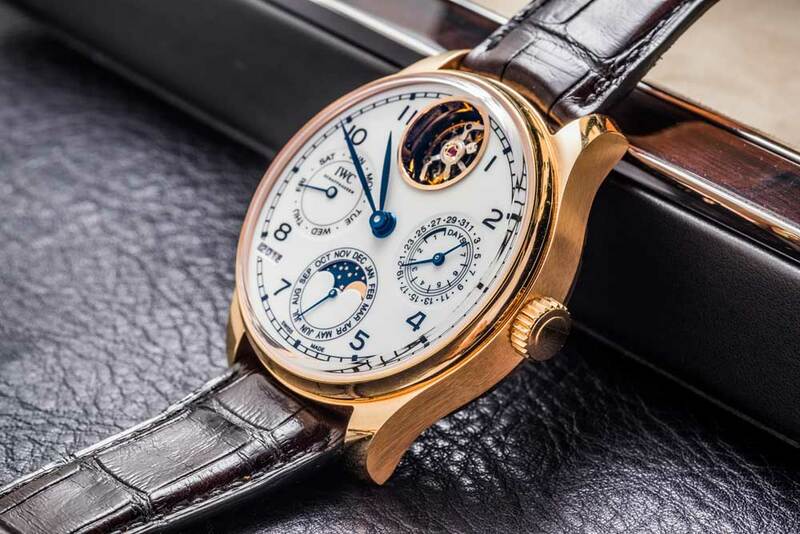 Models will include pieces from IWC’s Portugieser, Portofino, Da Vinci and Pilot’s Watches, but the initial headline grabber is sure to be a new mechanical digital wristwatch based on the Pallweber pocket watches that enjoyed short-lived popularity in the late-19th century. 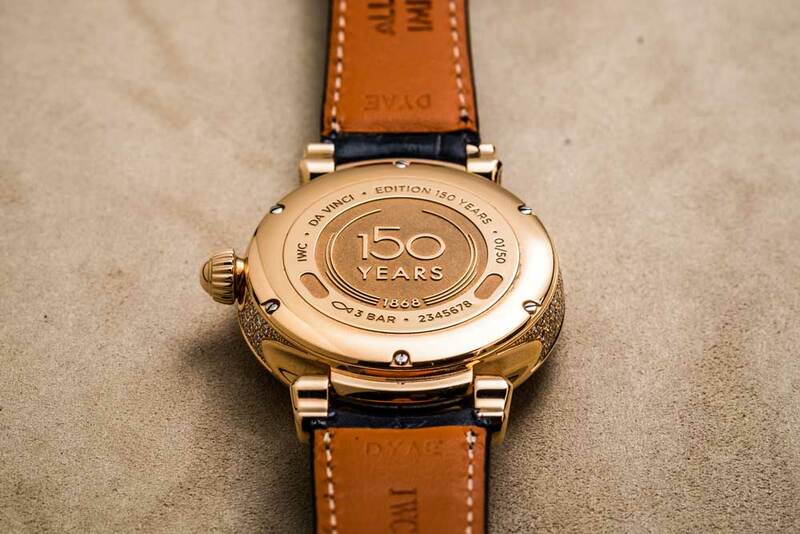 The 250 examples of the IWC Tribute to Pallweber Edition “150 Years” (ref. 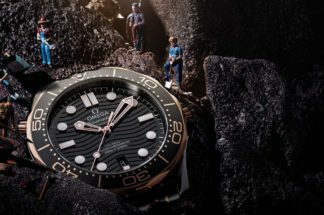 IW505002) feature a 45mm red-gold case, a white dial with 10-coat lacquered finish — a common factor in all the Jubilee watches, which have either blue or white faces — and digital, jumping hours and minutes in clearly labelled apertures plus a running small seconds dial with blue hand at 6 o’clock. 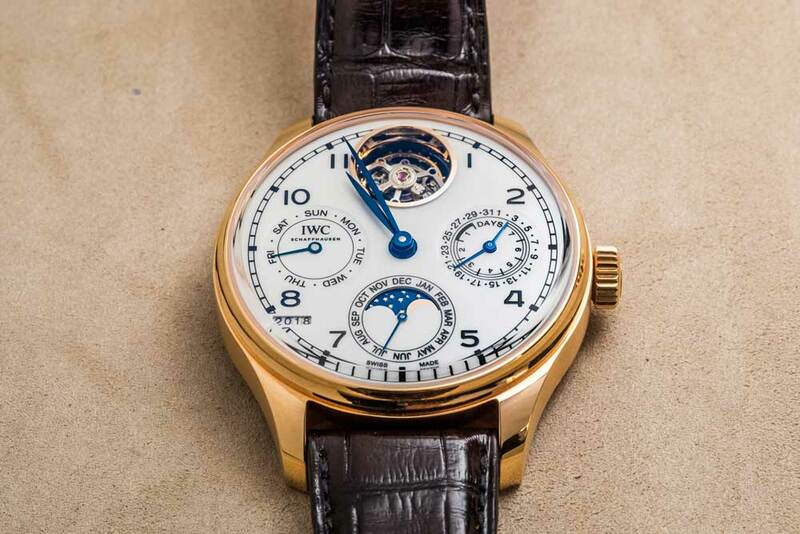 Powered by the manufacture 94200 calibre, which has a separate barrel and wheel train for the minute discs giving 60 hours of power reserve, the new wristwatch is a direct tribute to IWC’s first digital display pocket watches made after the company secured the rights to the Pallweber system in 1884. Due to make an appearance in the Portugieser line in 2018 are the Constant-Force Tourbillon Edition “150 Years” and the Perpetual Calendar Tourbillon Edition “150 Years”. 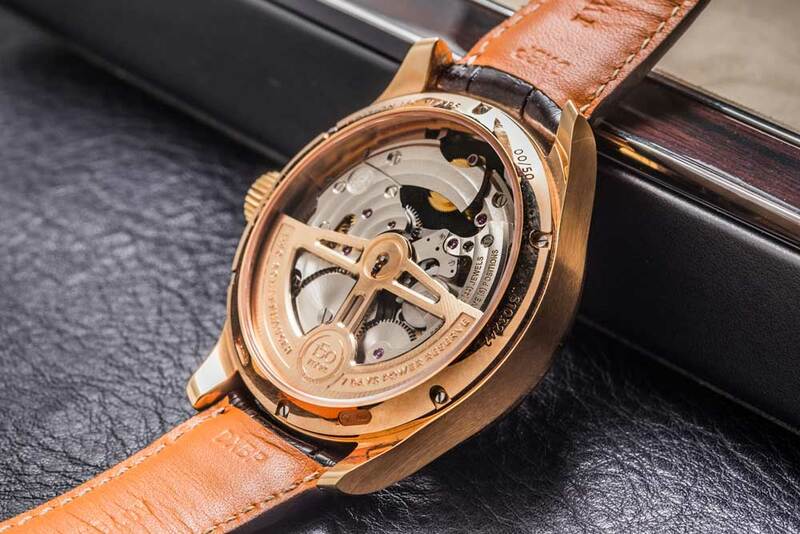 The 15 pieces of the Constant-Force Tourbillon (ref. 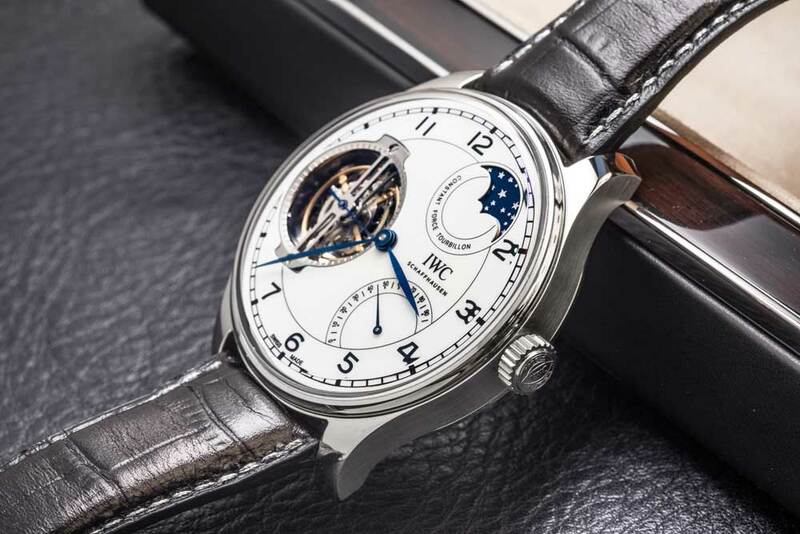 IW590202) have a 46mm platinum case, a white lacquered dial, a moonphase at 1 o’clock and blued hands and are powered by an in-house hand-wound 94805 calibre with a 96-hour power reserve (indicated by an arced display between 4 and 5 o’clock. 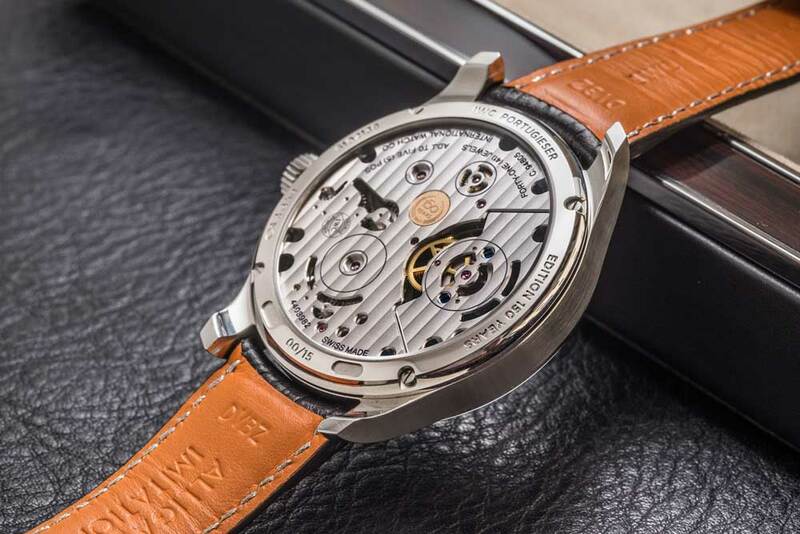 An exercise in precision, the watch combines a constant-force mechanism with a tourbillon. Made in just 50 examples, the Perpetual Calendar Tourbillon (ref. 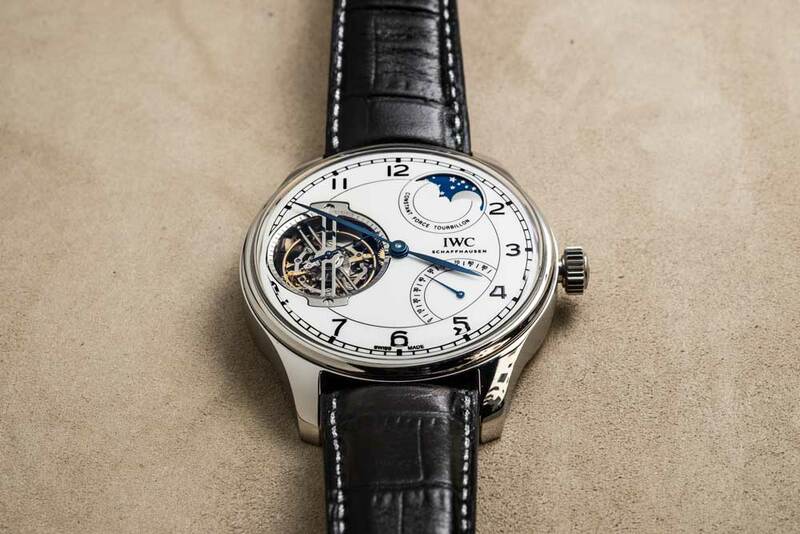 IW504501) marks the first time IWC has combined these two complications. 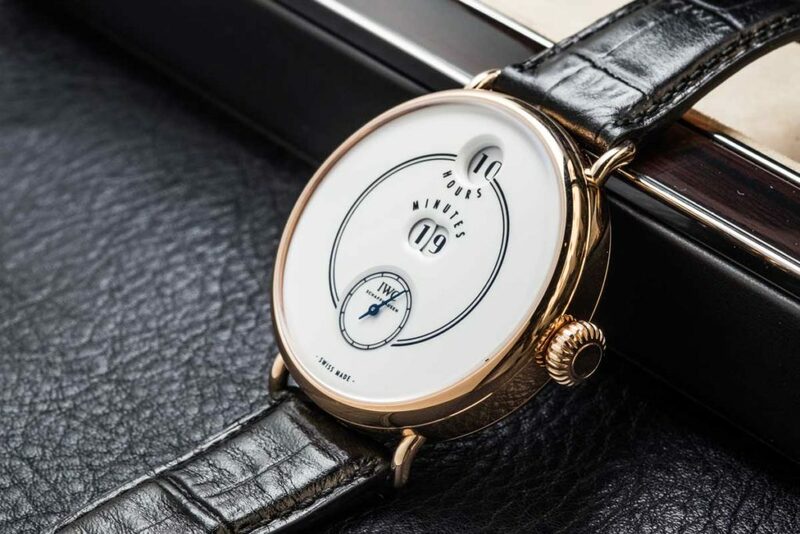 A white lacquered dial with blued hands shows the tourbillon at 12 o’clock and the month and moonphase are shown at 6, while the days of the week are at 9 and the power reserve and date are combined at 3 o’clock. 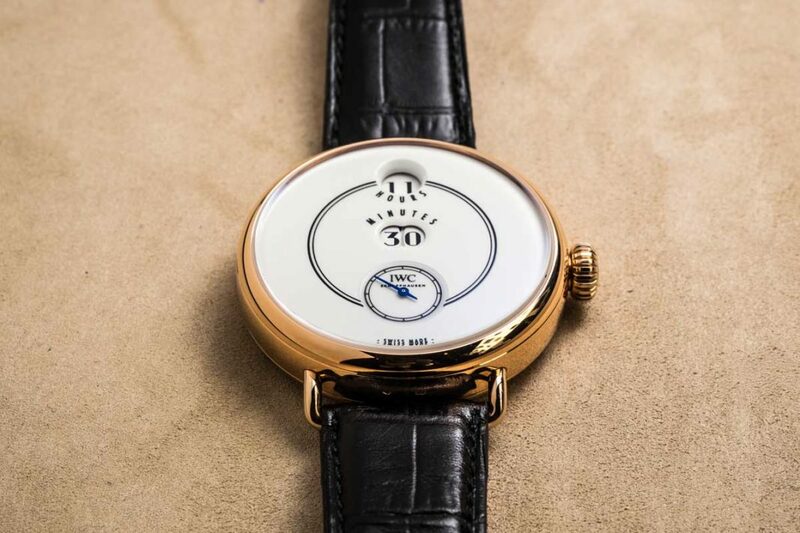 The 45mm gold case houses the latest generation of the manufacture 51950 calibre. 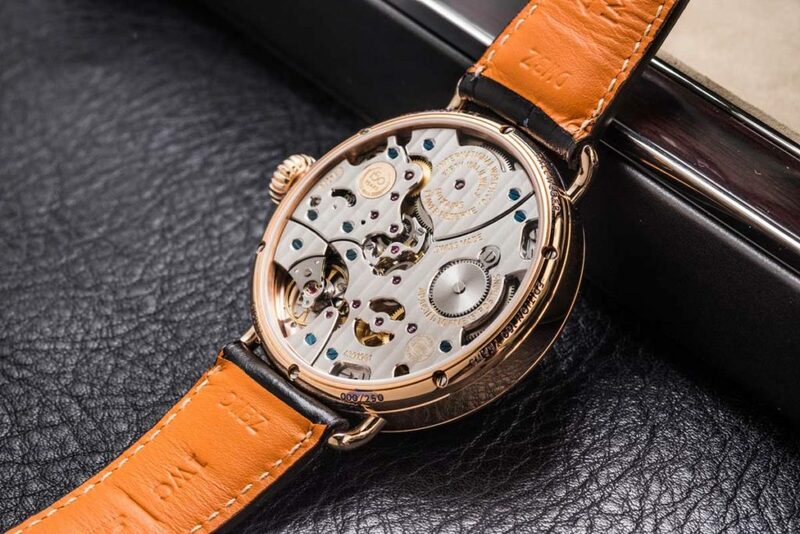 Building on last year’s Da Vinci collection, IWC has given us a sneak peek at the Da Vinci Automatic Edition “150 Years” (ref. 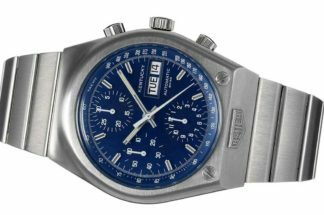 IW358102), which has a 40.4mm stainless-steel case and blue lacquered dial with small seconds at 6 o’clock. A limited edition of 500 watches, each piece houses the new manufacture 82200 calibre with Pellaton winding and 60-hour power reserve. And, for that touch of glamour, there is the Da Vinci Automatic Moon Phase 36 Edition “150 Years” (ref. 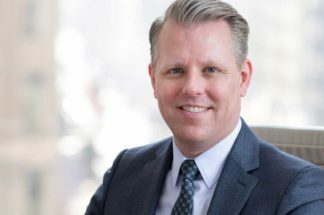 IW459304). Reminiscent of the bejewelled Da Vinci’s of the 1980s, this new version has a 36mm red-gold case set with 206 diamonds, a white lacquered dial and blued hands with a moonphase at 6 o’clock. Just 50 pieces will be available. 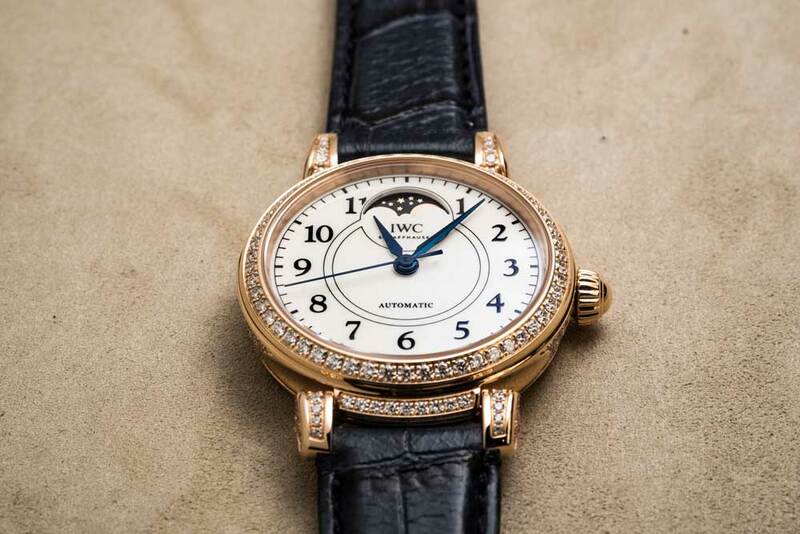 As a sign of things to come, these early snippets from the Jubilee Collection promise great things for IWC’s 150th birthday year.